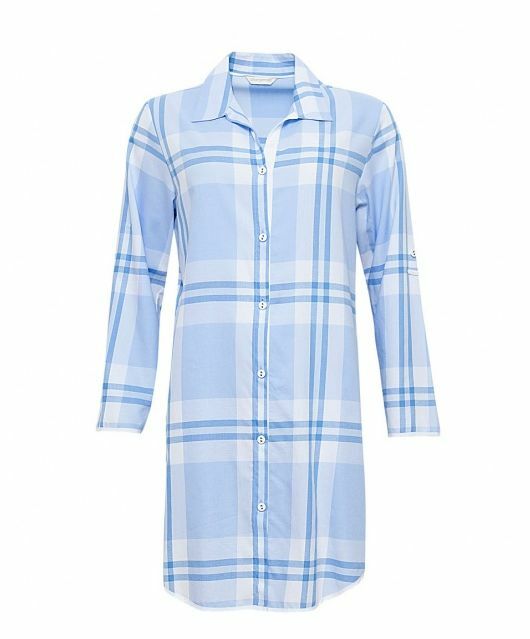 A clean and classic blue check creates the perfect bedtime look. 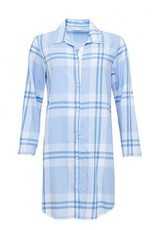 This 100% cotton nightshirt features fabric covered buttons, a curved hem, one piece comfortable collar and is finished with white modal binding on the front, hem and sleeve edges. Wear it with the sleeves long or rolled and secured with a button.